How much is Carole Lombard Worth? 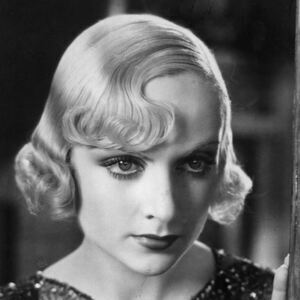 Carole Lombard net worth: Carole Lombard was an American actress who had a net worth equal to $16 million at the time of her death in 1942, after adjusting for inflation. Carole Lombard was born in Fort Wayne, Indiana in October 1908 and passed away in January 1942. She starred in several screwball comedies during the 1930s and was the highest paid star in Hollywood at one point in time. She was recruited by a film director at 12 years old to appear in the movie A Perfect Crime. She signed a deal with the Fox Film Corporation at 16 years old and appeared in many bit parts. From 1927 to 1929 she appeared in 15 short comedies for Mack Sennett before starring in feature films such as High Voltage, The Racketeer, and The Arizona Kid. Lombard went on to star in films such as Hands Across the Table, My Man Godfrey, Nothing Sacred, Mr. & Mrs. Smith, To Be or Not to Be, and more. 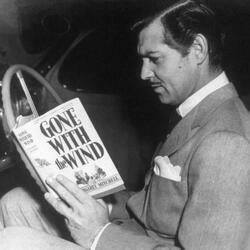 She was married to William Powell and then remarried to Clark Gable. Carole Lombard passed away in a plane crash on January 16, 1942 at 33 years old. She received a star on the Hollywood Walk of Fame and was nominated for an Academy Award for My Man Godfrey. Carole Lombard salary: At the peak of her career in the late 1930s she earned around $400,000 per year, which is the same as around $7 million today after adjusting for inflation. She earned a career-high $460,000 in 1937 and then earned at least $400,000 every year until she died.